A fashionable, young crowd congregates for coffee at this popular hangout. The service leaves a bit to be desired, but no matter: lots of people spend hours here working or chatting at the tables outside—it's the perfect spot to people watch and experience a slice of neighborhood life on the East side. It's mostly a residential area, which means a quiet cuppa, but be sure to explore the block, featuring galleries (there's even one inside Chango), clothing boutiques and darling gourmet grocery, Cookbook. 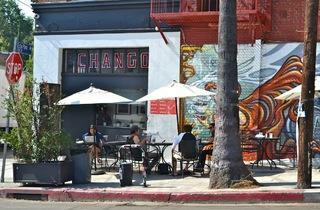 The coffee here is fine and the food offerings are rather impressive—but you don't usually end up at Chango for what's on the menu. You also certainly don't end up there for the art, which is pretty atrocious. You go to sit outside, bask in the sun and people watch. 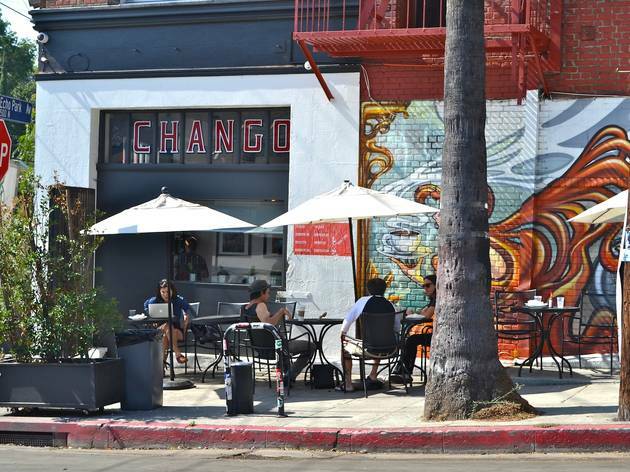 You can basically hold court on the corner, run into friends and get the lay of the 'hood, which is why Chanog remains such an Echo Park mainstay.